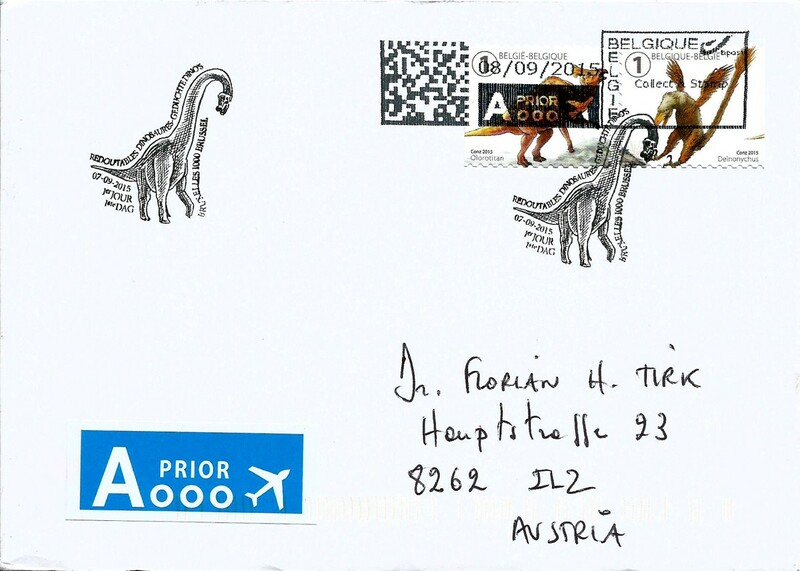 This very nice FDC from Belgium was sent by Freddy, thank you! It was issued on September 7, posted on September 8 and arrived already on September 9, 2015. The stamps commemorate the dinosaur genera Olorotitan and Deinonychus.